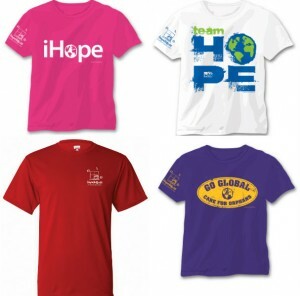 HOPE T-shirts are all original designs and carry our logo with our website address. These shirts are a great way to spread our message via name recognition and by conversations that begin as result of wearing our HOPE designs and logo. All t-shirts are chosen with a light weight and a 100% ring-spun cotton fabric. The comfort and quality factor is a priority to HopeHouse so that donors will want to wear our t-shirts and also come back and visit GIFTSthatGIVE as we release new designs. The Ukrainian Children’s Art Note Cards come from original art painted by orphans ages 9-14. View our art gallery at www.hopehouseinternational.org/events. These are paintings that are sold at our Benefit Galas in Nashville, Atlanta and Dallas. 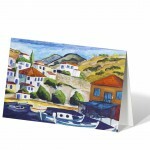 We then choose 10 new scenes each year to print as notecards for GIFTSthatGIVE. Over the years, people have overwhelmingly enjoyed the beautiful art and used these cards as Thank You notes, Invitations, Christmas cards, Message cards, etc. We find these cards to be a wonderful way of helping us spread the word of HopeHouse to those who receive notes in the mail because our mission statement, website and social media information is written on the back of each card as an introduction to our organization. See all of our GiftsthatGive items here!